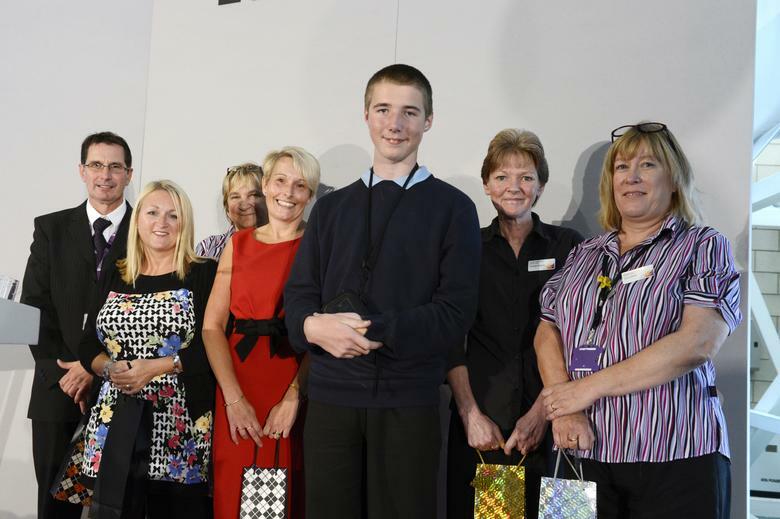 Ashmount Student Thomas Standley swapped places and became the prize presenter at Loughborough University annual staff awards recently. After completing highly successful work experience placements at the University, organised through Remploy, Thomas returned to present the managers in the project with their own prizes. Congratulations to all involved and especially to Thomas!